Subject Xyzz has entered second stage of the experiment. Recent scans shown that her skeleton is advancing and expanding, and her body experiences overall growth, just like on the simulation. Implanted organs show no sign of rejection or mutations, which is a spectacular success, compared to previous iterations of the prototype. Since the memory loss she has not lost her violent and rebelous behaviour, even after series of reeducation, during which the subject attempted to punch the designated researcher. Agression level increase is a serious problem, and it should be a priority to remove in future iterations of the serum. Subject shows signs of enthusiasm during the physical sessions. Utilising her newfound strenght and dexterity seems to be found entertaining by her. During combat training she destroyed the designated golemite again. They need better shielding. 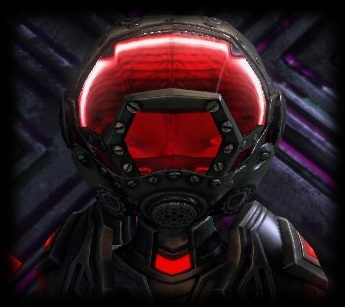 IBD is a inquest krewe of bioengineers, focused on researching and producing biogenetically altered flora and fauna, biochemical weapons and special asuran operatives known as Bioenhanced Terminator Units. It consists of both research and security teams, involving trained personel and mentioned terminator units. It currently operates in secrecy of Kessex Hills, taking the cryptic inquest operations to the very heart of Kryta. As part of the inquest, bioengineers of IBD have little respect for widely considered ethical norms of science. They experiment on sentient species, purchase illegal substances and even kidnap other asura for their sinister projects. Outside of the labolatory tho... they are quite normal people. They have hobbies, enter relationship and enjoy a glass of fine ooze booze. After all, few people are truly rotten to the core. Most of them simply follow diffrent ideals and rulesets. As a generally Lawful Evil/Neutral Evil guild we offer roleplay focused on inquest immoral research and experiments. 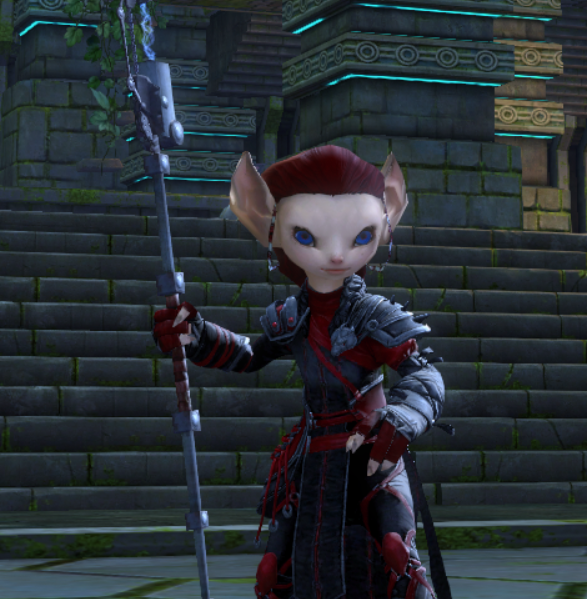 Our rp is concentrated both in labolatory, Rata Sum, and the fields of Kryta, involving of course the Divinity's Reach, where we hang out after we change the signature red and black uniforms to something more casual. We run guild events, both one-timers and guild plots, involving many events bound together. 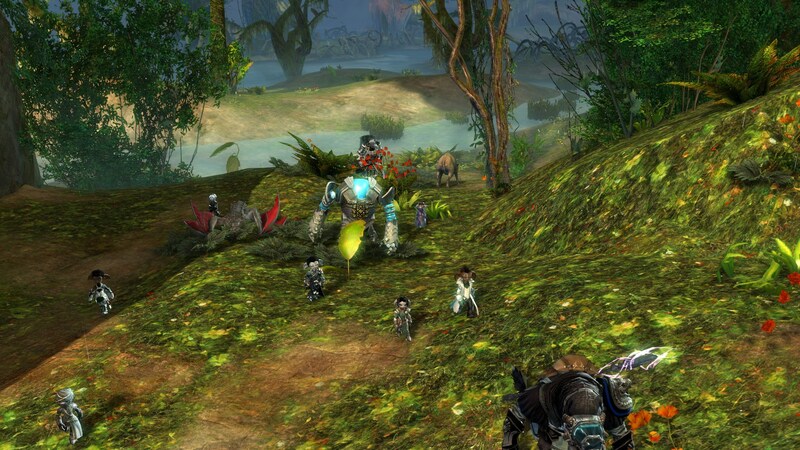 We also enjoy co-operating with rest of the community, and we are happy to do guild crossovers. Researchers form up majority of the krewe. Their job is to research and produce new technologies. To join as a researcher your character should have some scientific experience, either inside the inquest or out of it. Redesignation, recruiment, manpower assimilation, all of those are valid ways to start your character up as a researcher. Every krewe needs it's security team, to keep it safe from sabotage, overzealous bookah or failed experiments. Security personel is highly trained in combat, utilising inquest equipment and adhering to security protocols. Security agent can join the krewe in the same ways as the researcher. Future Of The Inquest (insert sarcasm). Trainees are young researchers and assistants, recruited by the inquest. Freshly graduated from their college, they are looking for opportunities to work or conduct their own experiments. Lack of ethical limitations makes joining the Inquest a very tempting option to consider. Trainees will attend courses and gain experience by assisting the krewe members, to eventully create their own graduation project, which, after being accepted by the krewe leader, will grant them a well deserved promotion. To join as a recruit, your character can be freshly assigned to the krewe from the academy, or simply recruited directly by krewe's representative. Our krewe's uses a hidden labolatory in Kryta. From there we have access to our fields of operations, close waypoint connection to Divinity's Reach and an asura gate to Rata Sum. Friendly bump: These guys are super fun to RP with,and are highly recommended if your looking for some good Inquest RP. The interguild plot involving members of Splinter, Havoc and TACH has been concluded. Cure for inquest-made virus has been found and produced, but members of metakrewe have not left empty-handed, recieving a lot of valuable data on their bioweapon and it's weaknesses, and laying their hands on pieces of pact technology, which they shall use to create even more insidious weapon! Thanks everyone there for participating, especially Trax Splintershield, for setting those events in motion. Quite the friendly community and great with cooperation. 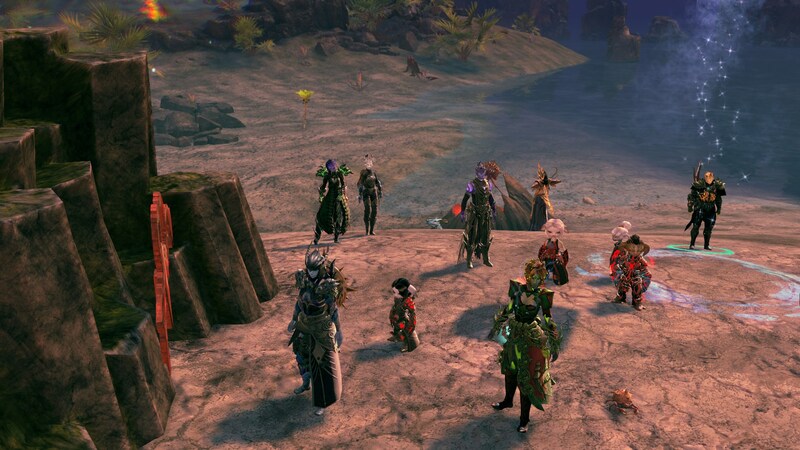 The Friends of the Ghost certainly enjoyed the cross guild event. Call us degenerates, call us monsters. In the end we'll all prove to be the same. 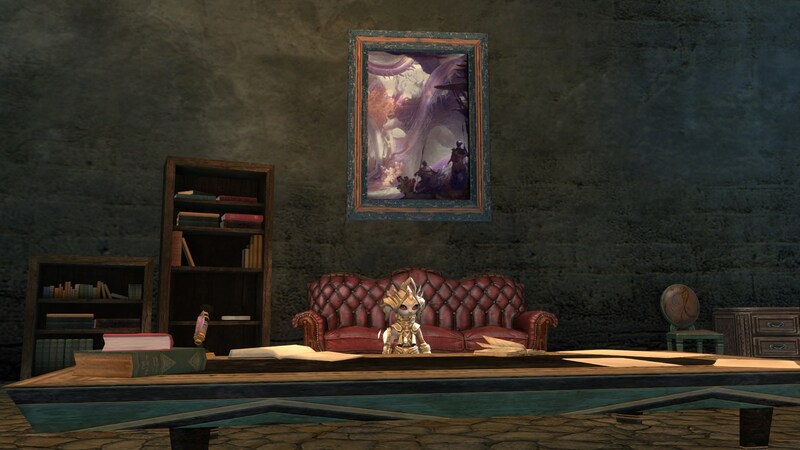 A krewe of independant researchers, following the noble cause of bringing aid and prosperity to the asura, has proven able to reach for unethical and punishable methods to achieve those goals. In their attempt to lay their hands on Bioengineering Division's secrets, they've kidnapped Director's daughter to use as a bargain chip. The metakrewe however does not discuss with blackmailers and offenders (at least with those that target them exactly). After a long operation, involving seeking out hostile labs and operatives, IBD assaulted their main labolatory, and retrieved their precious hostage. Enemy labs have been looted and burned to ashes and their people either taken prisoner or scattered, terrified and leaderless. After two of their co-workers have been mysteriously sucked into the mist portal, IBD launched an investigation to find the missing collegues. Soon they've learned, that one of them is being held prisoner by a deranged administrator, who also happened to be their overambitious and cruel mother. Krewe has managed to locate her labolatory and bring the fight to her, to put an end to the potential threat and save a krewe member. Despite having to face not only the administrator but also an insane test subject and the very person they wanted to save, the bioengineers have succeeded and killed the renegade. After this small victory however, many questions remains unsolved. Who is the administrator's mysterious benefactor? Where is the other missing krewe member? Who will how fill the vacant administratorial sit? Answers to those questions will be found during the upcomming plot. What started as a krewe members going missing, has quickly developed into an operation full of ploting, treason and overall confusion, when IBD discovered, that people behind the kidnappnigs were none other than... their own krewe, or rather the mirror image of it. Like the Snaff Savant from years back, IBD made a contact with an alternative reality, but in their case, quite against they will, and with consequences difficult to overcome. Thankfully, by adjusting their plans to the new reality and keeping their minds set on ultimate destination, the bioengineers retrieved their krewe member, returning to full krewe strenght. Now, having a moment to rest, Zoria's krewe examines data and the equipment gained during that travel, and plan their next move. 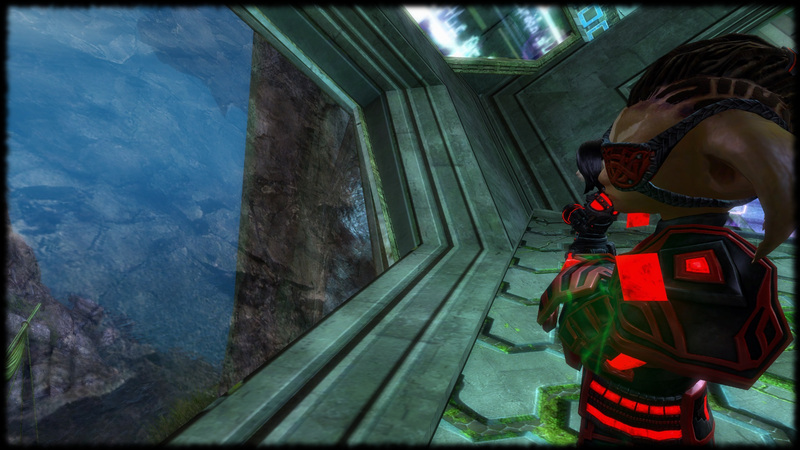 When assaulting asuran labolatory, never expect things to go entirely just as planned. The Bioengineers learned of it the hard way, when their seemingly successful raid for research in Brisban ended up with a prototype teleportation device transporting them into the Ring of Fire! 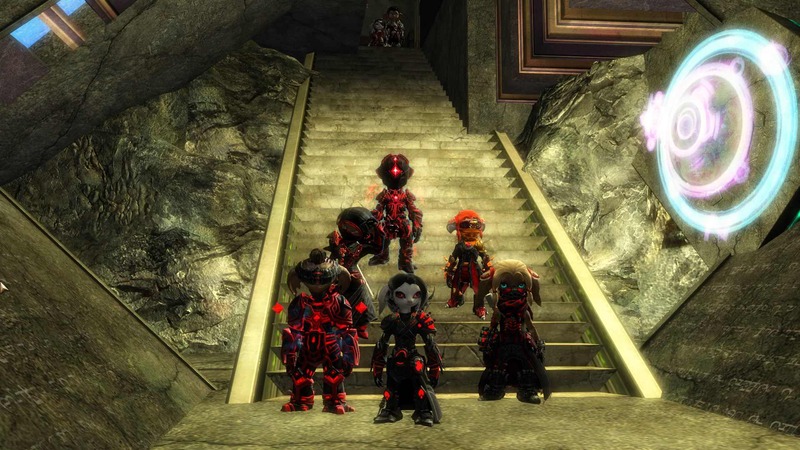 The asura couldn't however complain for lack of company, as there was another group assaulting the lab, who ended up stranded, just like the Inquest. Nightmare courtiers of the Canticle of Thorns and asura from the Bioengineering Division have made a temporary alliance, in order to find a way to return to their homes. But how long the truce can last, when allies seem like they are about to eat each other? Stay tuned for more!